Images courtesy of Jason Fish's lab. From Fish JE, Wythe JD (2015) Dev. Dyn. 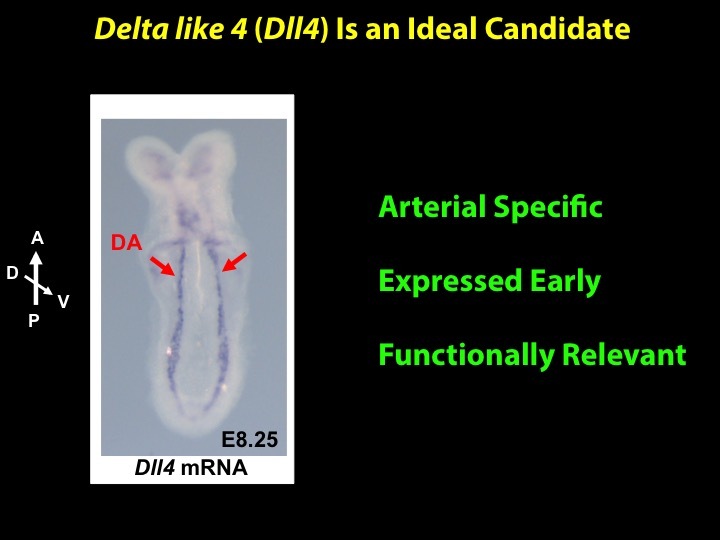 To understand the transcriptional regulation of early arteriogenesis, we chose to focus on the earliest known arterial marker, the gene Delta like 4, which encodes a ligand for the Notch family of receptors. 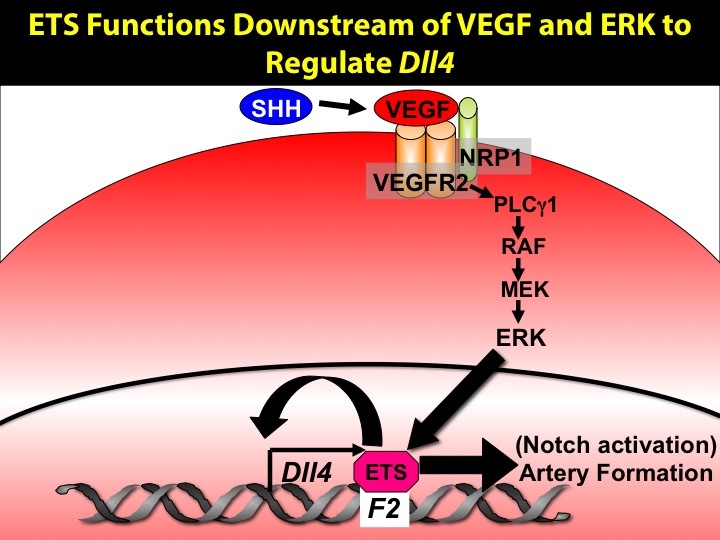 Interestingly, this same pathway seems to regulate some aspects of VEGF-induced gene expression during angiogenesis. See Fish JE et al., Development, 2017 for more. We are also interested in nerve-vessel interactions, from alignment and patterning during development, to their cross-talk in disease settings. Nerves and arteries align in the mouse forelimb skin. IHC for Dll4-BAC-nls-lacZ (arteries, blue) and CD31 (all endothelial cells, green) and Tuj1 (nerves, red). From Herman et al., 2018. 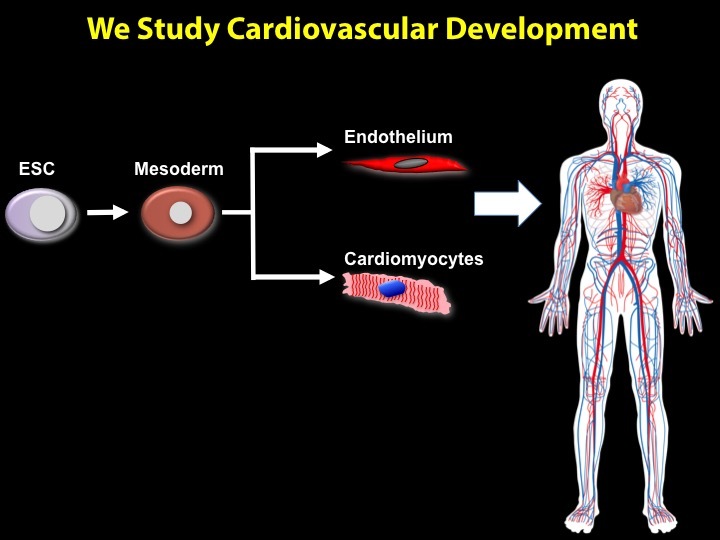 Vascular development is a complex process, as unspecified angioblasts will ultimately give rise to specialized endothelial compartments, ranging from the endocardial cells lining the heart to the lymphatic vessels. 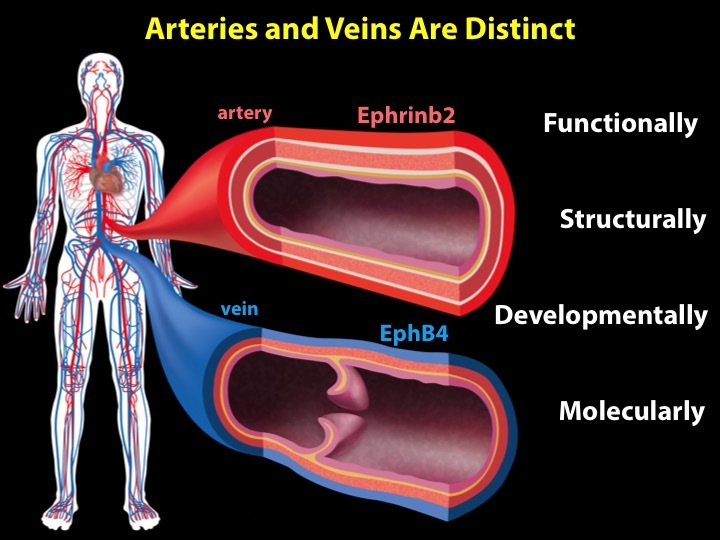 The two primary mechanisms of blood vessel growth are vasculogenesis (the de novo formation of blood vessels), and angiogenesis (the sprouting, migration and growth of endothelium from existing vessels). We are interested in both of these processes. 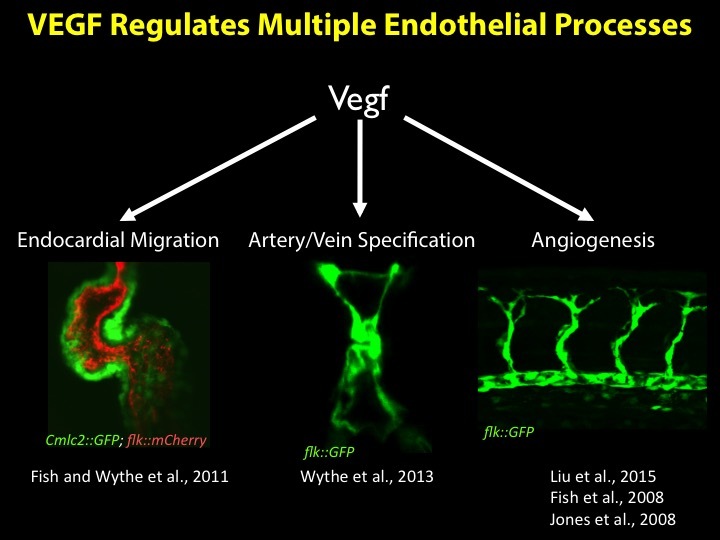 Critically, Vascular Endothelial Growth Factor, or VEGF, regulates these processes (and many, many more). Currently our interest lies in a few areas. 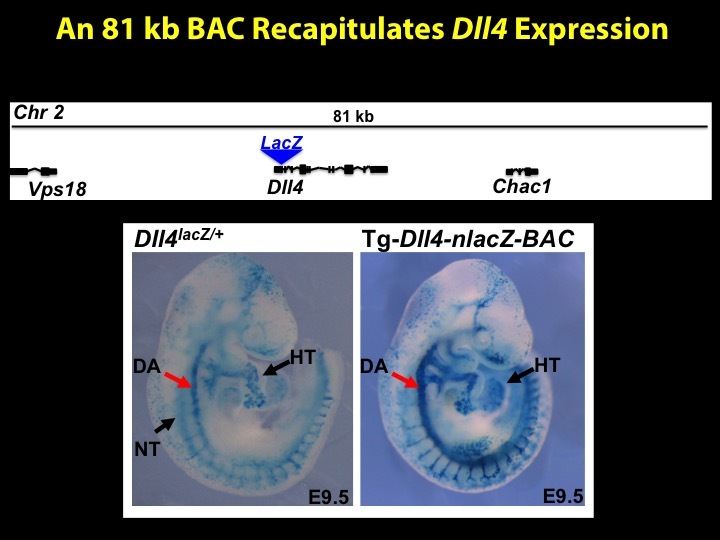 The first of which is understanding how arterial and venous endothelial cell identities are specified and maintained in the developing vertebrate embryo. These two endothelial cell populations have unique gene expression profiles, differentially recruit pericytes and smooth muscle cells, posses different ultrastructures, and are subject to different hemodynamic stresses and physiologic signals. Understanding how, exactly, these cell fates are specified is an intriguing question, and has interested me since I was a graduate student in Dean Li's laboratory. 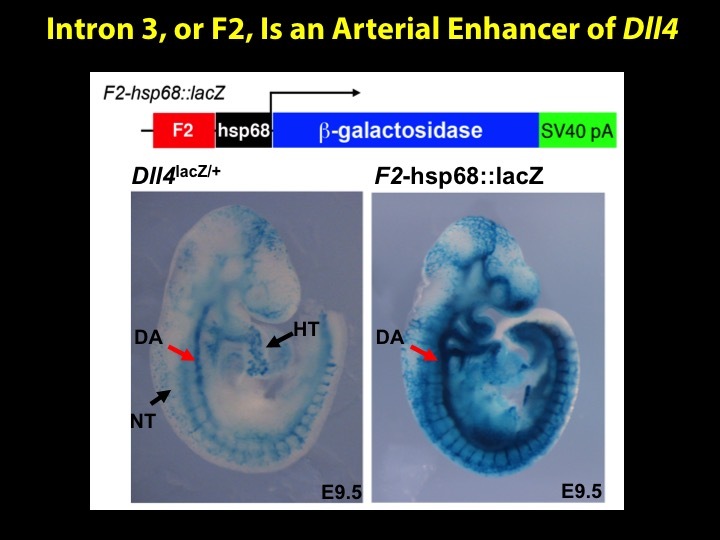 We are also interested in vascular patterning, and nerve-vessel interactions during embryogenesis. 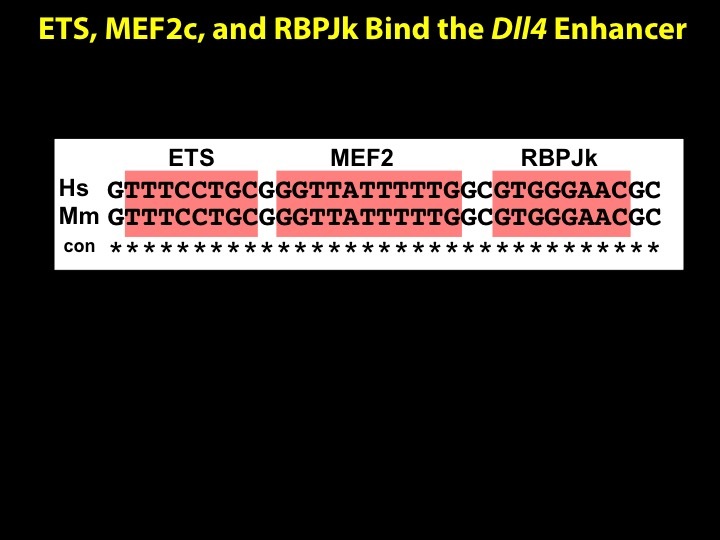 Finally, we are interested in the transcriptional control of angiogenesis through ETS transcription factor family members.